Dapoli is a town in the Ratnagiri district of the state of Maharashtra in India and is located at 700 to 800 feet above sea level. Due to its cool and refreshing climate Dapoli is famous as a hill station and is known as the Mahabaleshwar of Konkan. 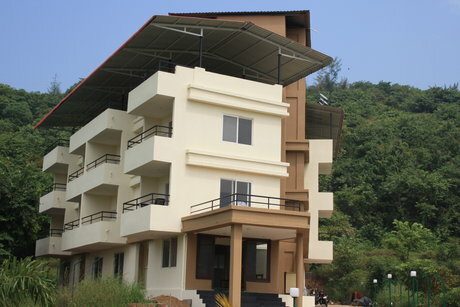 Dapoli has grown by leaps and bounds and has all modern amenities. 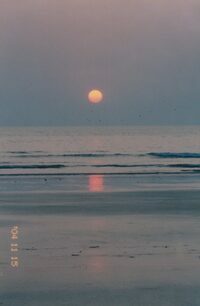 Surrounded by about 62 tourist spots and 11 scenic and safe beaches, Dapoli is an ideal weekend getaway for all. As a tourist it is our responsibility to safeguard this gift of nature. Dapoli has been a home for many great personalities like Lokmanya Bal Gangadhar Tilak. While on a visit here, do remember these great people and apprise the younger generation of the great work done by them. 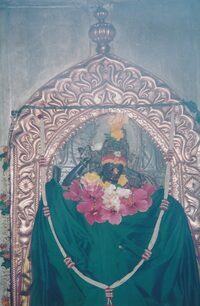 The temples of Keshavraj and Vyaghreshwar are located at Asud near Dapoli. The Keshavraj temple is situated on a hillock near the village and you have to walk and climb some steps to reach the temple. You pass through dense plantations of coconut and beetle nut trees and is a exhilarating experience. On seeing this nature’s bounty and the beautiful temples, one feels refreshed and happy. Turn left near the Asud Pul to reach Murud. This Murud is not the same as Murud-Janjira near Alibag! This is the birthplace of Bharat Ratna Maharshi Dhondo Keshav Karve. You must visit the Durga Devi temple here. 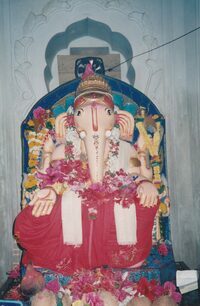 Another temple in Murud is Talyatla Ganpati. While going towards Murud from the main road you will see a road going left. This road leads to the scenic and safe Karde beach. In winter one can see thousands of migrating white sea gulls here. While going from Murud to Harne, at one kilometer distance on your right you can visit the ancient Ganpati temple. Harne is 17 Kms from Dapoli. The Suvarnadurg fort has two sub-forts Kanakdurg and Fhatehgad. The only way to go to Suvarnadurg is through a boat. However currently there is no regular boat service to the fort and one has to arrange for the ferry from the local fishermen. There is a lighthouse inside the Kanakdurga fort. One can take permission and climb up the lighthouse. From the top you can see the Suvarnadurg, Harihareshwar mountain, Kadyawarcha Ganpati, Harne port, Murud and Karde beaches right upto the Dabhol creek. Harne is a big fishing port and lots of fishing trawlers and ships return here everyday with fresh fish from the sea. There is a local fish market which assembles at the beach every morning. It is a great experience to watch the fish auction between 4pm and 7pm. You can buy fresh fish to your hearts content. While going from Harne to Pajpandhari 3 kms on to your right at the foot of a mountain you can see the Church. It is surrounded by a beautiful garden and coconut trees. Once you get the smell of dried fish you have reached Pajpandhari. This is a fishermen’s village. You can observe a typical fisherman’s life here. If you have time strike up a conversation with the locals who bring you the fish you love so much. 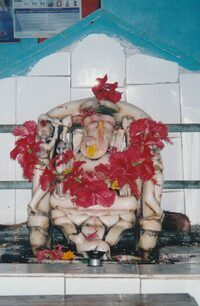 The Ganpati temple is situated on a Hill at Anjarle village and hence is called ‘Kadyawarcha Ganpati’. This temple is a beautiful example of the peshwa era architecture. Viewing the sunset from this hill is a beautiful experience. While going from Aade to Kelshi on your right you can see the stone steps leading to this group of temples. It’s a 10 to 15 minutes climb up the steps to reach the five temples. The village also has a scenic beach. This calm and quiet Shiva Temple is located on Kelshi border while coming from Anjarle – Aade. This temple with ample natural beauty is worth a visit. Kelshi is a typical Konkan village at about 40 Kms from Dapoli. The village is very small and you can experience real peace away from the hustle and bustle of modern cities. The 3 km beach at Kelshi is very beautiful and quiet and there are beautiful sand dunes on the beach where children enjoy playing. 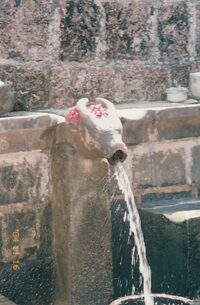 Kelshi is home to the temples of Siddhivinayak and Mahalakshmi. The Yakub Baba Darga is also very famous. Five Kms from Dapoli on Dapoli – Dabhol road near Nante village is the Panhalekaji phata. Cars can go right upto the village and the caves. This is a place that you have to see. There are 29 caves and many sculptures around the area and the whole area is very picturesque. You need about two hours to see all the caves. There are natural hot water springs at Unhavare Village, 20 kms. from Dapoli. People from surrounding areas come here regularly to bathe in the hot sulphur water springs. A bath in the spring water is said to cure skin ailments. We can see boiling water coming out of the earth where the spring originates. This is the home town of Lokmanya Bal Gangadhar Tilak. The Tilak Mandir conceptualized by Laurie Baker is very unique. This beautiful temple is located on the Dapoli – Dabhol road 3 Kms before Dabhol. According to history Shivaji Maharaj had visited this temple. 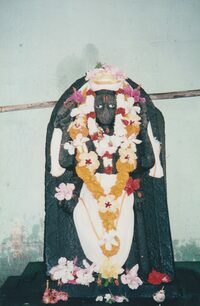 The Goddess idol is located in a cave and one has to enter through a dark tunnel to take a darshan. While going from Dapoli to Harne turn left at the Burondi Naka to reach Dr. Balasaheb Sawant Krishi Vidyapeeth. It was established on 18th May 1972. Just before Burondi Naka is the information centre where one is able to get information booklet of the Vidyapeeth. It is the leading centre of agricultural education and research in the country.